Cottalango Leon from Tamil Nadu has won the Academy Award for Science and Technology. The principal software engineer at Sony Pictures Imageworks will receive it on February 13. 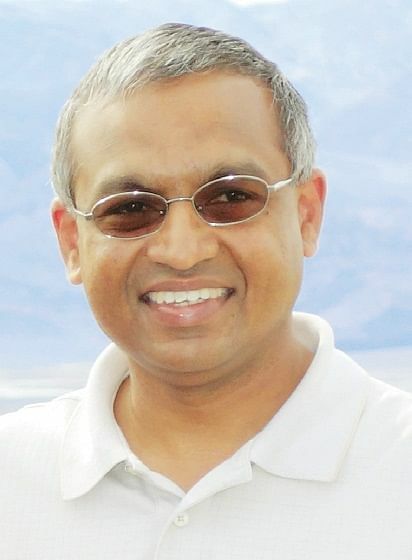 Born in Tuticorin and brought up in Coimbatore, this PSG College of Technology alumnus went on to pursue his masters degree from Arizona State University and specialised in computer graphics. While with Sony Pictures Imagework, Leon’s team came up with a technology called ‘Itview.’ “Academy Awards for science and technology needn’t be for specific movies since technology tends to be reused across movies and studios,” explained Leon, in a mail interview. Leon had an interest in movies, but was always a fan of science. “While looking to pursue masters, films like Jurassic Park (1993) had released, which showed how much technology can contribute. I enjoyed the fact that what I work on can result in a product that every person can see and enjoy,” he said. Leon says he is not familiar with what goes on inside a film industry and that he is not the right person to comment on technicians in India. “I’m pretty sure India has world class, talented artists and technicians, but our filmmakers don’t have access to the same of capital as in Hollywood and that makes a difference, especially in resource intensive- production such as visual effects and animation. But technology is getting cheaper and skilled artists are coming out, so it’s only a matter of time before the Indian movie industry shines on the world stage in this area,” he opined. Leon says he has noticed an increase in the number of Indian technicians migrating to the West to work for big companies. Though he maintains that he is not a film buff, Leon does not shy away from sharing that if an Indian filmmaker approaches Imageworks and wants him on board, he would be glad to be a part of Indian projects. Among his recent favourites are Bahubali (2015) and a few Tamil comedy films. “For long, it was difficult to watch new Indian movies conveniently in the US but that is changing,” he quipped. Congratulatry messages and best wishes have not stopped pouring in and his alma mater is proud of his achievement. But for Leon, the feeling of winning an Oscar has just started sinking in. “I am happy that our work has been recognised. Since Itview is a proprietary tool, not many people outside our company have heard of it. The project was challenging and satisfying and I’m proud of my fellow winners Robert Ray and Sam Richards, and others who contributed. It was nice to reconnect with school and college friends through this award. I hope my win inspires young people to look into this field for a professional career,” he said.